Slavery in the New World – 1452 A.D. 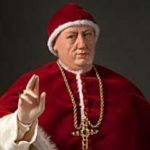 Starting in 1452 and continuing until 1521, five Roman Catholic popes, one after another, issued papal bulls (aka Vatican edicts) – each new bull reaffirming the previous one – that authorized Portugal and Spain to engage in slavery and slave trading. Just like that! With the stroke of an ecclesiastical pen! 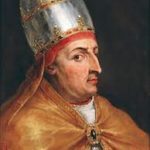 Nicholas V, Callixtus III, Sixtus IV, Leo X, and Alexander VI – each in turn, authorized the Catholic countries of Portugal and Spain to enslave non-Christians – enemies of Christ – and sell them in the New World. When all said and done, 13 million people were captured and shipped to the New World to work as slaves in newly established cash crops – sugar, cotton, tobacco, rice, etc. But only 10.7 million survived the arduous journey, and of those, 388,000 were sold to the British colonies of North America. 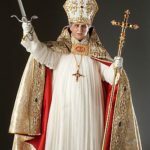 These papal bulls authorizing slavery turned out to be a holocaust journey for at least 2 million Africans. 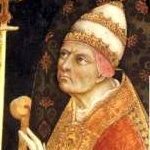 Let us not parse or water down the meaning of words or engage in abstract theological niceties and distinctions: these papal edicts exist to this day as “the teaching of the church” and have never been abrogated and publicly acknowledged to be a grave sin against non-Christian peoples committed by the Roman Catholic Church. I interject here with this bit of angry Roman Catholic fantasy: What a shame the Jesus of Nazareth could not been consulted before these papal bulls became the “Teaching of the Church” – His church. But then, what would Jesus know anyway? 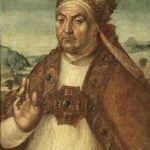 He did not rule papal states, command armies, live in palaces, wear precious Renaissance jewelry and clothing made from the finest cloth. For that matter, Jesus of Nazareth did not even own slaves. International slave trading in the New World continued unabated until 1807 when it was outlawed . . . but slavery itself was still legal. God bless them! In 1775, the Quakers in Pennsylvania formed the Pennsylvania Abolition Society – still in existence today – to begin the slow motion movement in the United States to outlaw slavery. 1777 – Vermont was the first state to ban slavery. 1787 – First African American Fraternal Organization (African Mason Lodge) founded in Boston MA. 1787-1789 The Northwest Ordinance forbade slavery in Ohio, Indiana, Illinois, Michigan and Wisconsin. 1792 – 1862 Military Service prohibited for African Americans. 1796 – 1868 – United States Naturalization was forbidden to non-whites. 1804 – The first “Underground Railroad” began to assist run-a-way slaves to cross the Susequehanna River in their escape to Canada. 1807 – Slave trading between countries was outlawed but not slavery. 1820 – 1854 – Missouri Compromise: Maine admitted as a Free State, Missouri admitted as a Slave State. 1829 – Mexico abolishes slavery. 1831 – 1865 – “The Liberator”, abolitionist newspaper published by William Lloyd Garrison. 1845 – Texas admitted as a Slave State. 1850 – California admitted as Free State. Utah and New Mexico admitted as Slave States TBD. August 1851 – Nat Turner’s Rebellion: 57 whites killed, 100 alleged suspects murdered in Virginia. 1857-1868 Dred Scott Decision. U.S. Supreme Court denies citizenship to all slaves, ex-slaves, descendants of slaves and denies to Congress the right to prohibit slavery. 1859 – Clotilde, the last ship to bring slaves to the U.S. arrives in Mobile Bay AL. 1863 – President Abraham Lincoln issues Emancipation Proclamation to free the slaves. December 18, 1865 – Passage of the 13th Amendment, slavery is abolished. 2013 – Mississippi is the last state to ratify the 13th Amendment.